Amazing Easter Activity for Kids who like Biking!! 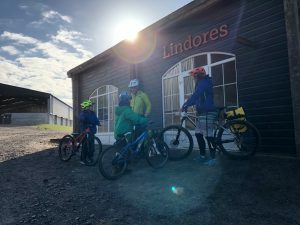 Tailwind Adventures biking experiences for kids is run by professional and qualified coach Kyle Strachan and his team. 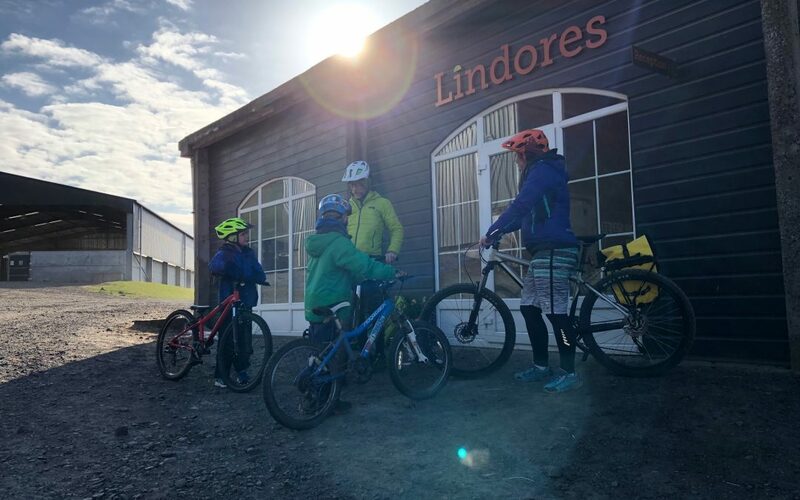 For the first time ever the bike experiences are being held at the award winning sport training facility Lindores, Fife. We are all about adventure. We are all about learning in an active, relaxed and enjoyable way. There will always be bike riding involved. We also love being outside and having fun, irrespective of the weather. Expect to get very dirty. Sometimes we stop and build dens, play games or cook our lunch on a fire or stove. We ride a lot but will sometimes stay in one area and look at the same section of ground several times, allowing for us to manage the pace of the session so everyone stays together. On most sessions the limit is 10 client riders. There will sometimes be an assistant leader with us. During a session we’ll get ridersinvolved in looking after themselves as much as is possible, eg we’ll get them fully involved in checking their own kit and bike, let them choose a warm up activity (and possibly lead on it!) 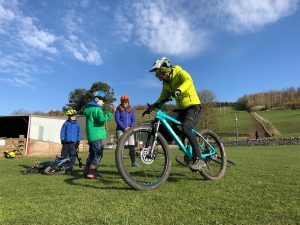 let them navigate and help them make choices and decisions along the way, all aimed at developing their skills as an independent rider at an appropriate pace. We also assess the competence and experience levels of our riders as we go, building on the information you have already given us, letting us adjust the pace and route as is required. We will follow the Go Mountain Bike syllabus. Kyle is all about adventure. He has been riding a bike since he was 3 years old and has been all over the world leading expeditions for a wide variety of groups travelling by bike, on foot, on skis an in a variety of other vehicles. He has indeed spent most of his life outside, the record being 218 nights in a tent in one year! Kyle is a fully qualified International Mountain Leader, Cycling Coach and Mountain Bike Leader and bike/car/truck mechanic, all backed by first aid certification/experience and PVG. He spent the past decade as the Head of the Outdoor Education department at a school in Edinburgh, prior to that he was full time expedition co-ordinator for the Duke of Edinburgh’s Award and a senior leader for World Challenge Expeditions. Kyle owns Kyle Strachan Enterprise which trades as Bloomfield Bikes, Park Tool School Scotland and Tailwind Adventures. He is the proud/baffled dad of two Frog bike riding girls, 4 and 6, who also spend a lot of their lives outside getting exceptionally muddy. The minimum age is 5 years old. All riders should be able to ride a bike, without any assistance or stabilisers. For these sessions the minimum wheel size is 20”. Bikes with gears are highly recommended. If your child can’t ride yet we can provide sessions and assistance, please ask. Pitmedden Forest days.. Please meet by the sliver gate, which is on the main route (driveable in a normal car) through the forest. There are currently some large boulders with spray paint on them by the gate. The session is three hours long, starting at 0930 and finishing at 1230. However, we would ask if you could arrive slightly before start time to unload your bike and get dressed and ready to ride. The session will start at 0930 sharp and we may depart from the meeting immediately. We finish at the meeting point, sharp!! The session is three hours long, starting at 1300 and finishing at 1600. However, we would ask if you could arrive slightly before start time to unload your bike and get dressed and ready to ride. The session will start at 1300 sharp and we may depart from the meeting immediately. We finish at the meeting point. Bookings are only confirmed once payment has been cleared, we have a signed consent form to complete once you have received confirmation of a space. Payment can be made in cash, by card (face to face only) or direct transfer. VISIT KYLE: You’re welcome visit Kyle at Bloomfield Bikes on Perth Road (the main road) in Abernethy, PH2 9LW. Mondays, Tuesdays and Thursdays anytime are all usually good. Other days including weekends are flexible. It’s best to call in advance of visiting to ensure Kyle will be in.